Rob Winstone studied General Construction at Mid Essex Technical College. He spent three years working as Assistant Surveyor in Estate Agency before he moved into the Construction Industry gaining practical experience in all aspects of construction, carpentry and joinery, estimating, site management and quantity surveying. He joined Phoenix Floors, part of the Phoenix Timber Group, as an estimator before progressing into contract negotiation and providing technical advice. He later joined Hewetson Floors, then part of the International Timber Company; where his duties involved estimating, quantity surveying, contract negotiation and technical specifications on commercial projects. Both these companies provided a sound knowledge of timber and vinyl flooring installation as well as subfloor construction, preparation and testing. 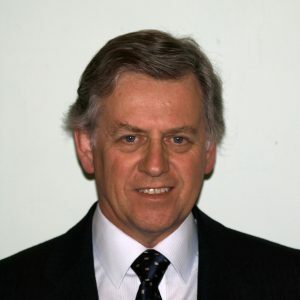 In 1985 he formed his own company, Winstone Flooring Ltd, specialising in the installation of timber and vinyl Floor coverings, subfloor assessment and preparation. The Company installed all types of Flooring from Parquet to high performance timber and vinyl Sports Floors and vinyl floor covering and was an Approved contractor for the Junckers, Boen, Reflex Sports Floors and Tarkett systems. Working for the Major Contractors on new, refurbishment and commercial projects, the company also carried out installations to domestic houses, village halls and ecclesiastical properties. the Construction Skills Certificate Scheme (CSCS) card (black) as an industry accredited Quantity Surveyor. He is also a Competent Person for the purposes of Slip Testing using the Pendulum system. He is an Approved Consultant Member of both the CFA and BWFA. He was a British Standards Institute committee member for the review of BS 8201 1987. Code of practice for flooring of timber, timber products and wood based panel products. The new Standard BS 8201:2011 Code of practice for installation of wood and wood based panels was published October 2011. Having spent some 40 years working within the construction industry he has closed the floor contracting company in 2008 to concentrate on using his experience and expertise to provide an independent service as an Expert Witness for site inspections and surveys, moisture testing both on site and oven testing at his premises, Slip testing, training, fault finding and specifications and as a Mediator for dispute resolution. He is a trained and accredited Civil and Commercial Mediator for the resolution of disputes and has membership of the Civil Mediation Council and the Association of Midland Mediators. Since closing his company, he has also become a trainer for the Flooring Industry Training Association (FITA) the Moisture and Testing courses. He regularly lectures on moisture in construction and is a contributor of articles for various publications.